Now you can earn Alaska Airlines miles for riding a bike. 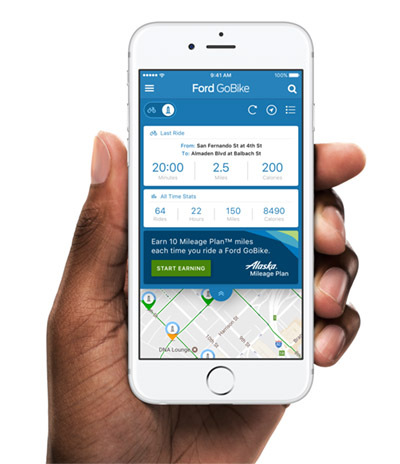 In the Ford GoBike app, link your Alaska Airlines Mileage Plan account to start earning miles. Alaska announced this morning that we’ve partnered with Ford GoBike, a bike share program in California’s Bay Area. The Miles-for-Miles program gives riders 10 Alaska Airlines miles every time they take a spin on a Ford GoBike. “As part of creating an airline people love, we’re dedicated to providing affordable, sustainable and convenient travel options,” said Diana Birkett Rakow, Alaska’s vice president of external relations. In the Ford GoBike app, just link your existing Alaska Airlines Mileage Plan account or join Alaska’s Mileage Plan for free to start earning miles without ever leaving the ground (unless you hit a sweet jump). By biking here and flying there, you can take advantage of more than 60 nonstop Alaska Airlines award travel destinations from the Bay Area. Check out our flight deals. 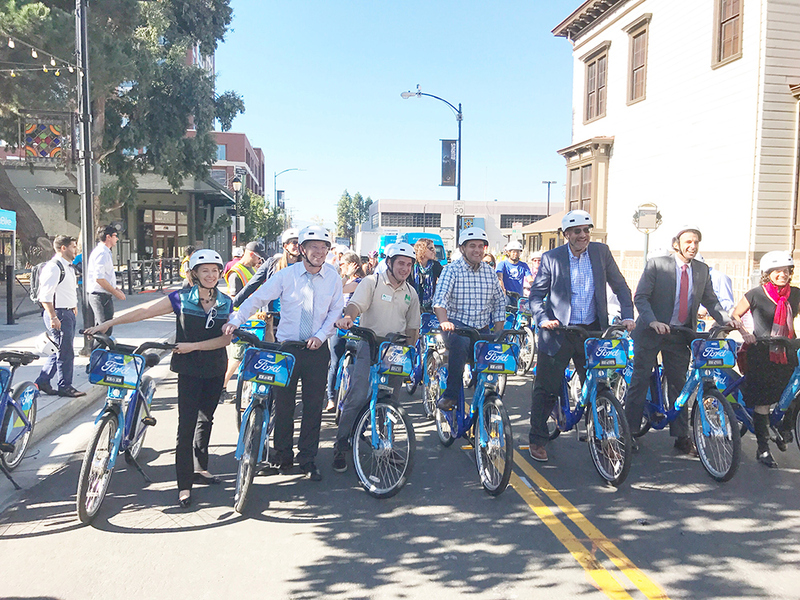 Alaska and Ford GoBike celebrated the partnership this morning at the San Pedro Square Market in downtown San Jose, joined by Mayor Sam Liccardo, regional officials and community members. As part of the founding partnership, Alaska is the marketing sponsor of all Ford GoBike stations in San Jose and 250 stations throughout the Bay Area. “From swiping their Clipper Cards to earning Alaska Airline miles, our unique partnerships are giving Ford GoBike riders new ways to explore the possibilities of urban mobility,” said Jay Walder, president and CEO of Motivate, which operates Ford GoBike. A charity bike ride raised a combined $2,000 from Ford GoBike and Alaska Airlines for the Salvation Army Northern California wildfire relief efforts, adding to Alaska’s $50,000 monetary donation this month.